The Boosted Board Dual+ (2nd Gen) is one of the most polished electric skateboards you can buy. 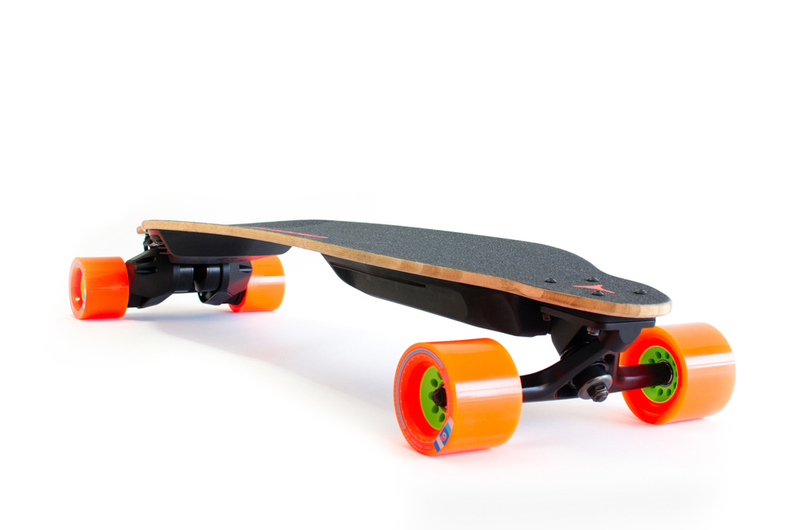 With both hardware and software that is smooth and reliable, Boosted has improved upon their first generation boards and has generally made the best electric skateboard on the market for most consumers. The Boosted Board Dual+ (2nd Gen) has a top speed of 22 mph, a maximum range of 7 miles, and can climb hills with a 25 hill grade. Though spec-wise the Boosted Board Dual+ (2nd Gen) might not be at the top of the pack, it remains one of the best electric skateboards for its reliability, polish, and Boosted’s fantastic customer service. Over the non-plus model, this board gains an addition 2 mph to its top speed and 500 watts of extra power. If you’re looking for hill climbing ability or the little bit of extra thrill from the increased acceleration the plus-exclusive “Pro” mode provides, the Dual+ is worth the extra cash over the non-plus variant. If you do not purchase a belt kit from Boosted directly, you will need a 3mm hex wrench and a 1/2″ socket (which should be present on any skate tool). One popular solution for mounting lights directly to the board is from Shredlights. Shredlights provides mounting plates and removable lights for both the front and back of the board. Shredlights recently announced a new bracket that allows you to mount the rear Shredlights underneath the board.